After back surgery, I need support for my lower back. I especially like the cut, lower in front and higher for my back. I hope you can send the new order ASAP, as I need it for my lower back. I wish this had worked out but too late I realized a design flaw-this really needs a side zipper for it to work out because it was impossible to get on. I measured myself according to the size chart and even went up a full size to a large and I couldn't even get this over my thighs it was so tight. So back it went. I have low back pain due to arthritis and am hoping this will help. I suffer from lower back pain and will try this support brief as soon as I receive it. to have support for my lower back. Hope it gives me support because I usually wear a back brace outside my garments due to back surgery. Never ordered this product before but will let you know how it works. I have a large hernia and am hoping this garment will help support it. I have lower back problems. This brief is comfortable and supportive. I have one that I use now and it works fine. It's the only back support which stays in place and gives back support very well. Is the support panel sewed to the garment? How do you determine if size medium is the correct size for for me for the lower back support brief? BEST ANSWER: Thank you for your question. 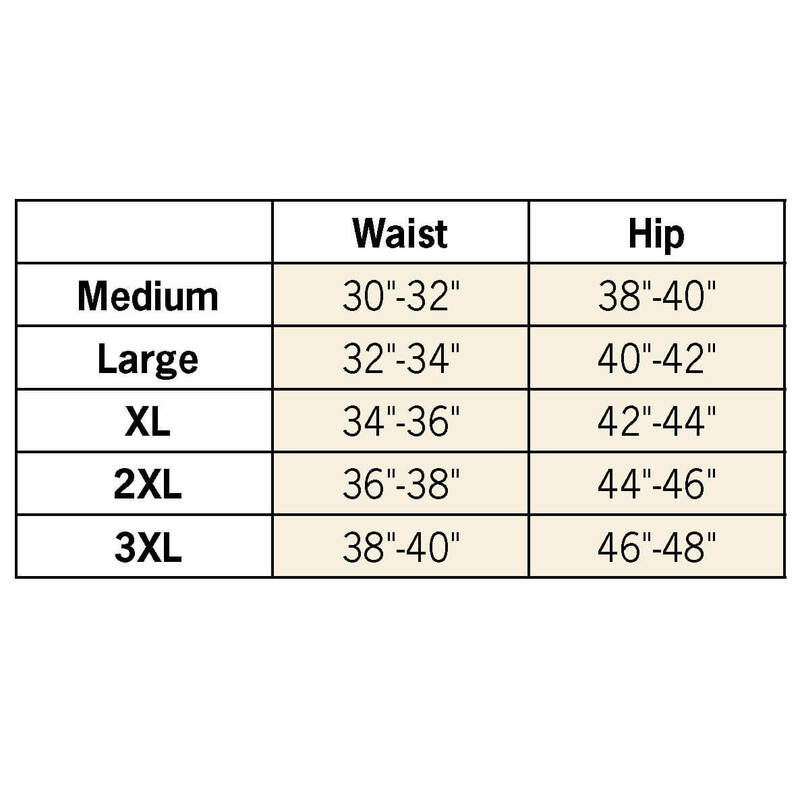 Consult the size chart, it is the third picture to the right below the large item picture. We hope this information will be of help to you.